The bin-picker is used to empty containers and remove the parts one by one. 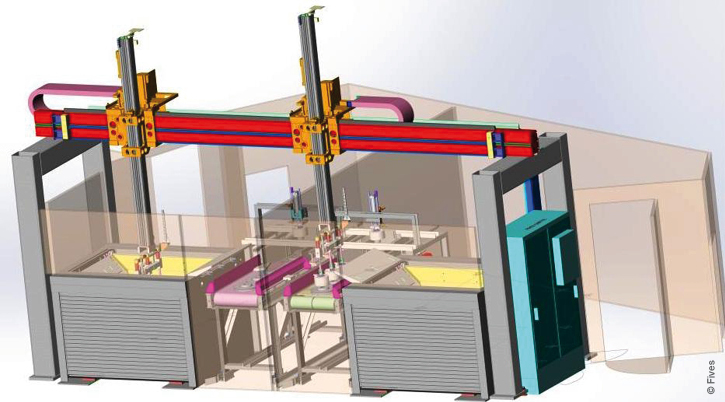 Fives proposes a bin picker made up of a set of electro-magnets mounted on a numerical gantry to empty the container without having to use a complex vision system. 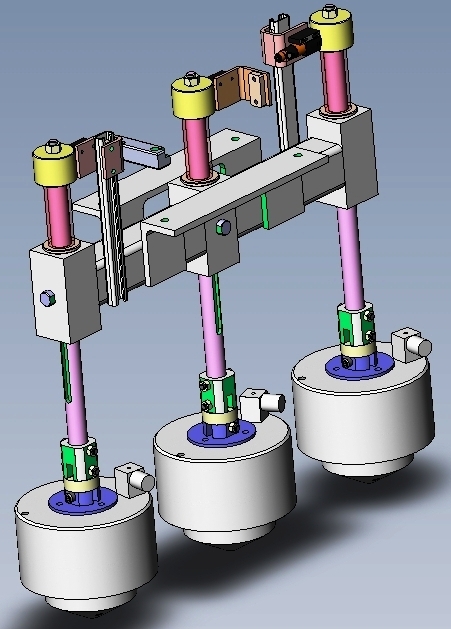 The gantry presses the electro-magnet on the bulk parts, and the compliance stops the lowering of the gantry. Boxes for containers are available as an optional feature. No stress on the mechanics thanks to the compliance system. Simple system without the need for 3D vision.